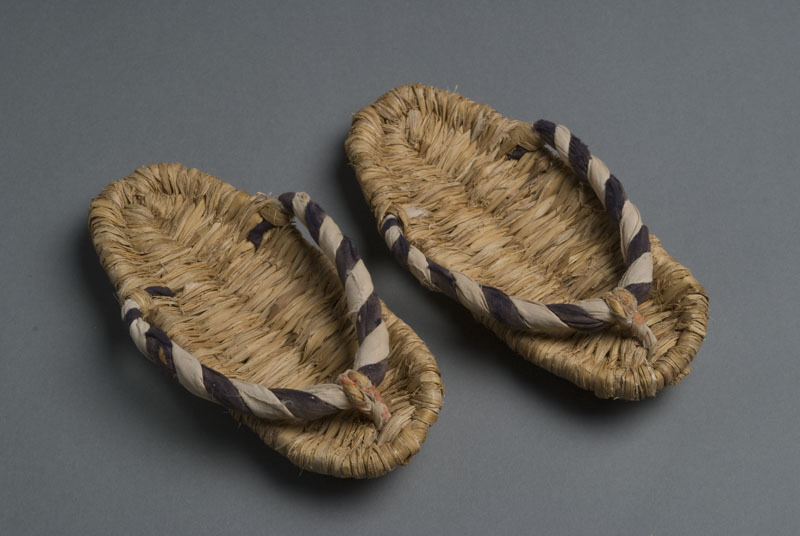 1 pair of zori (slippers) : straw, cotton ; each, 8.5 x 3.5 in. Slippers composed of woven natural rice straw with straw orange floral print fabric covered straw toe loops anchoring twisted black and white fabric straps to front of sandal. Two pieces: right (A) and left (B) side.